If you’re wondering what to see in Ireland on your next visit, this list of the best places to visit in Ireland will help you make the right decision. There’s no other place on Earth quite like the beautiful Emerald Isle. With a deep and rich history that runs back thousands of years, Ireland is a culturally and geographically rich island with so much to offer those who grace her shores. I’ve had the incredible opportunity to visit Ireland many times in my life, and while there are many more places on my bucket list, I just keep coming back! There’s something special about this place that I can’t quite describe. 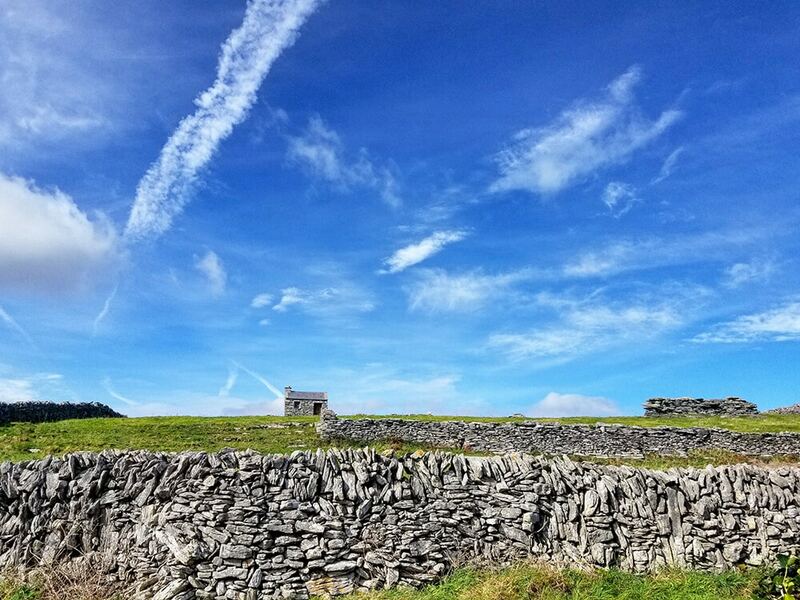 If you’re heading there soon and wondering what to see in Ireland, but struggling with narrowing down your choices, I’m here to help you out…or make your decision harder! There are so many places in Ireland that hold a special place in my heart, but I wanted to share my top 40 best places to visit in Ireland that I don’t think you should miss! I hope this list will help you narrow down where to visit in Ireland. I don’t think it’s possible to see all of these sites in one trip to Ireland, so don’t try. If you’re looking for a great overall Ireland itinerary that will cover both the Republic of Ireland and Northern Ireland, this is a great option. When you’re trying to decide where to go in Ireland, it can be hard not to see the whole island. If you really want to see as much of Ireland as possible, follow my Ireland Itinerary for the most incredible road trip around both Ireland and Northern Ireland. But if you have less than 10 days in Ireland, I suggest picking a few items off this list of top places to visit in Ireland and making the most of your time. If you only have one week in Ireland, pick a region and stick with it, otherwise, you will spend your entire trip driving in Ireland. 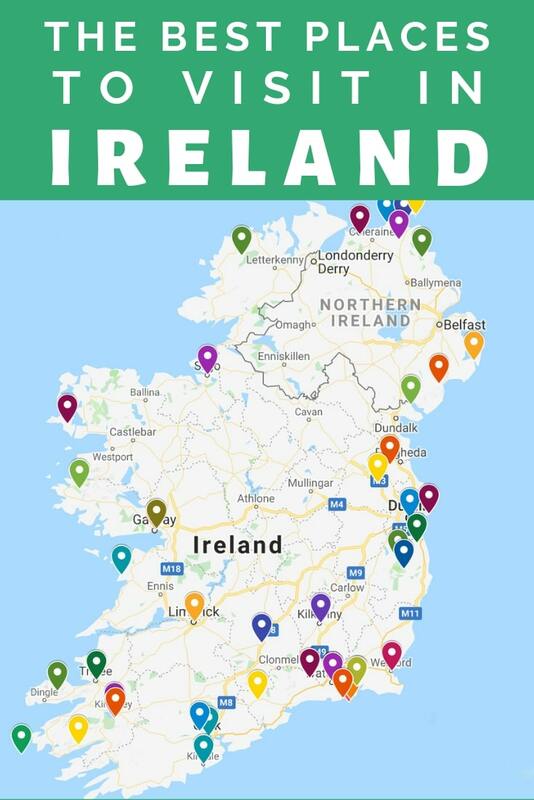 Each region in Ireland has so much to offer. They are all unique, but plentiful in natural and cultural beauty. Whichever area in Ireland you end up choosing, you won’t be disappointed! Ireland can be divided up into three different regions. There are technically more, but for the sake of simplicity, we are sticking with three: Ireland’s Ancient East, The Wild Atlantic Way (on the west), and the country of Northern Ireland. Each region is equally unique and beautiful with plenty to keep you busy. Ireland’s Ancient East is full of history (obviously) but also full of culturally rich experiences and incredible natural beauty. This area one of the best places in Ireland to witness the ancient history of the island. The capital of Ireland, Dublin is the most populous city in Ireland and where most cheap flights to Ireland will take you. 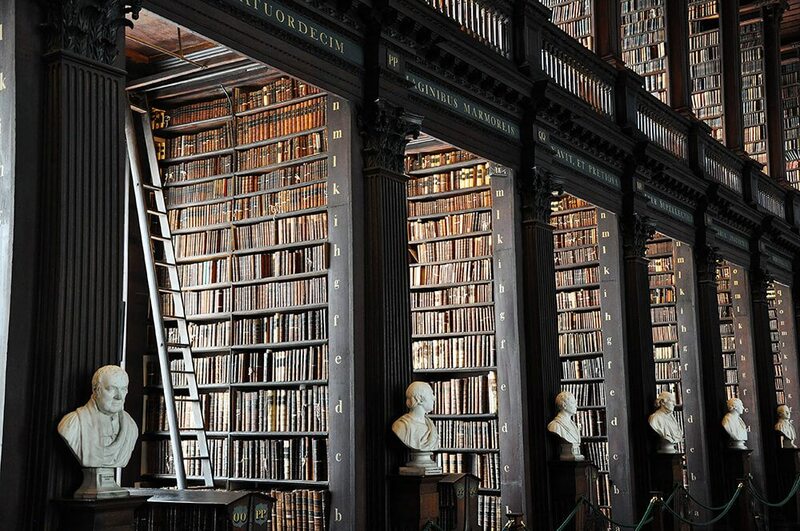 Don’t miss the Trinity College Library, St. Patrick’s Cathedral, St. Stephen’s Green, and Dublin Castle. I highly recommend taking a guided tour of Dublin which contains many of the top sites in Ireland and then getting out of the city to see what the rest o the amazing island has to offer. 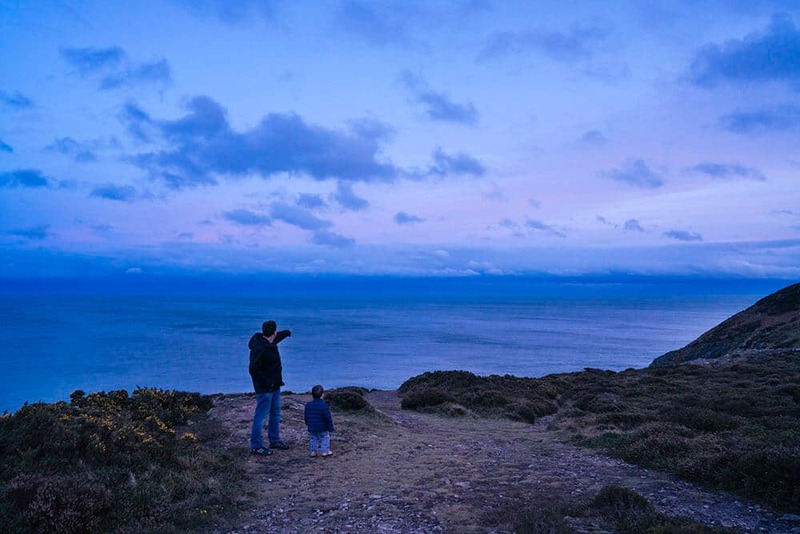 Just north of Dublin lies the town of Howth and the Howth Cliffs. They’re not quite the imposing Cliffs of Moher, but the Howth Cliffs are impressive in their own right. Take the Howth Cliff Walk for stunning views and be sure to stop in town for some fresh fish and chips from this adorable Irish town. Newgrange is a prehistoric monument built as a grand passage tomb in 3200 BC. It is older than Stonehenge and the Egyptian pyramids, and worth seeing! 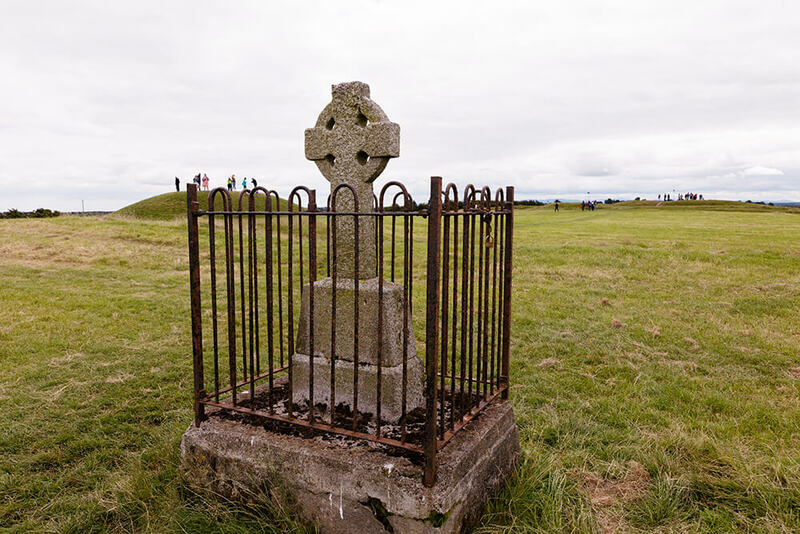 The Hill of Tara is another ancient site in Ireland. It is an archaeological complex. It was once the high seat of the King of Ireland. At the top of the hill, you can find Lia Fáil or the Stone of Destiny, where the ancient kings of Ireland were crowned. Just along the border to Northern Ireland is the beautiful Cooley Peninsula. 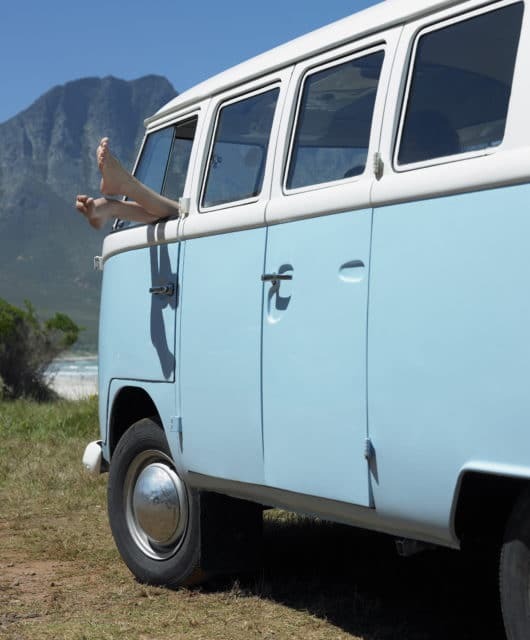 There are plenty of outdoor activities you can partake in during the summer months. Don’t miss King John’s Castle along the water. 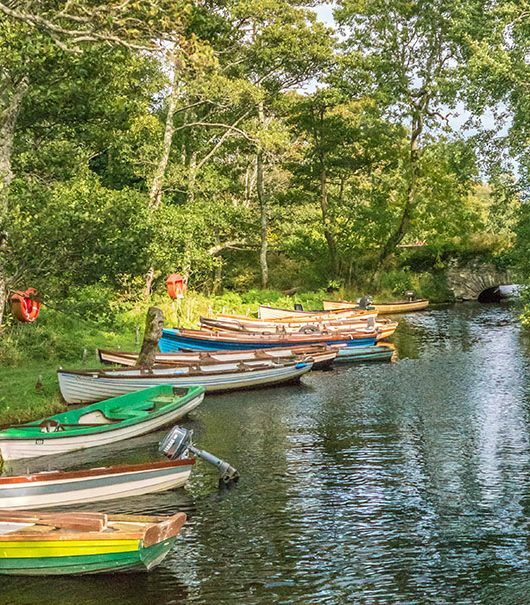 The Wicklow Mountains tend to get overlooked by first-time visitors to Ireland, which is a shame because it’s under an hour’s drive to visit one of the most beautiful places to go in Ireland. Wicklow has a rugged beauty that is characteristic of Ireland, and I’m pretty sure there’s a little magic hidden in those mountains! How could there not be? 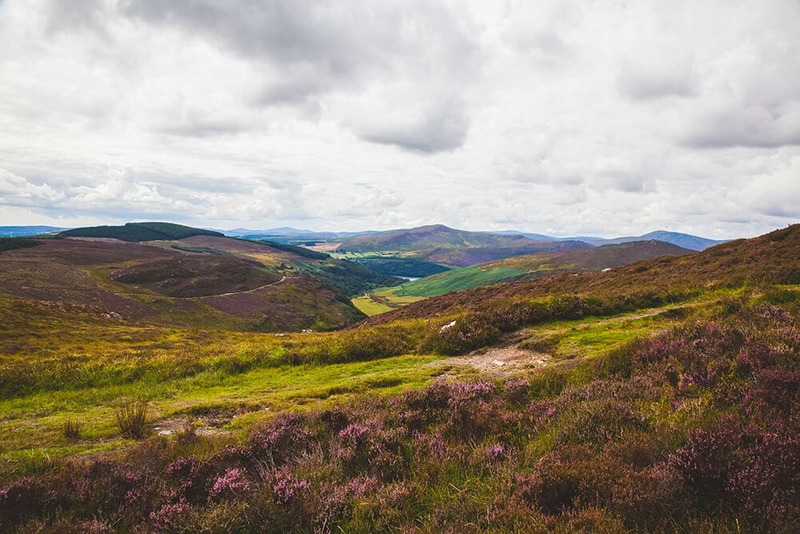 Be sure to visit Glendalough, known as the Valley of the Two Lakes, where you’ll find hiking, rock climbing, and site-seeing that will take your breath away! Don’t miss Powerscourt House and Gardens, which was once a 13th-century castle, but has been extensively renovated in 1996 after a fire destroyed it. Powerscourt is a wonderful place to go on a sunny day in Ireland to enjoy the gardens, Avoca Handweavers, or the Powerscourt Golf Club. 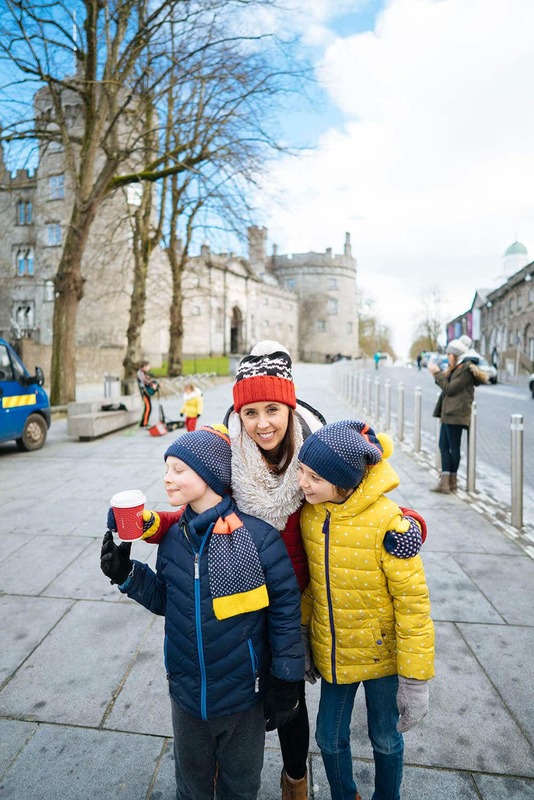 We stayed at the Marriott Autograph Collection Powerscourt Hotel two separate times in Powerscourt, and it is definitely one of my top 5 favorite hotels in the world! You can find it here. If you’re looking for a quintessential ancient Irish town, you’ve found it in Kilkenny. 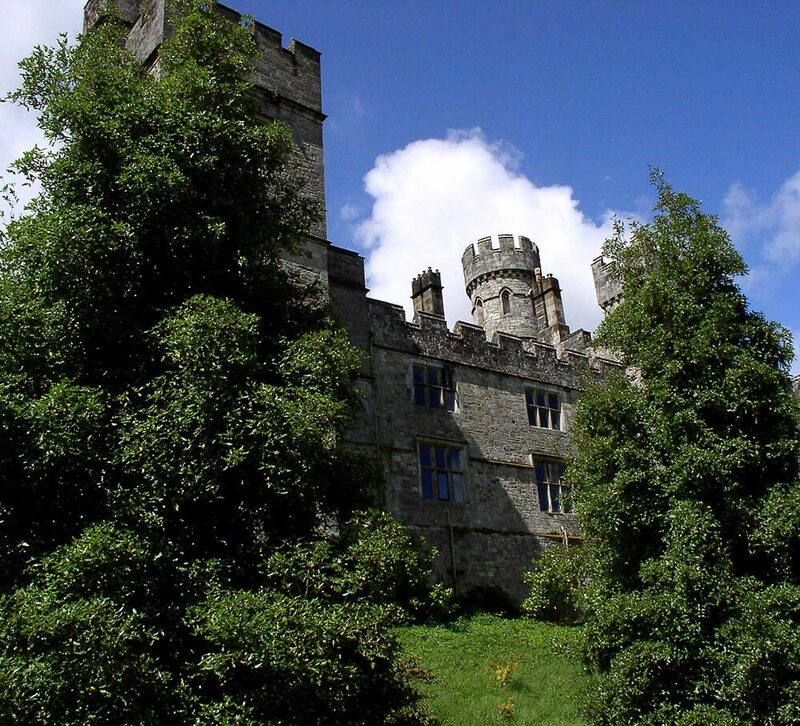 Wander the ancient, narrow streets, visit Kilkenny Castle and Black Abbey. This incredible town founded by Vikings in the 9th century is famous for its ancient heritage. The picturesque medieval streets are fun to walk through. 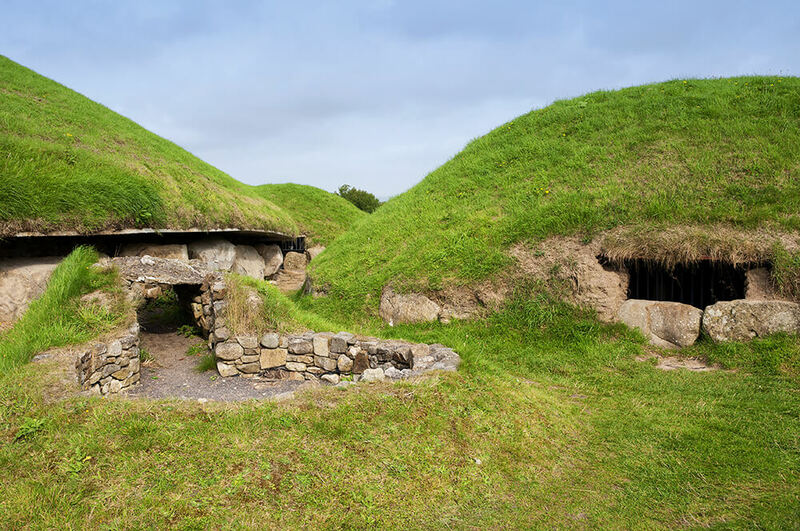 Don’t miss the Irish National Heritage Park where you can learn about Eastern Ireland’s history. Hook Peninsula is a little hidden gem in Ireland that doesn’t receive many tourists, yet has so much to offer. This is the part of Ireland that we lived in, so I may be biased, but it’s one of the best parts of the country and one of the must see places in Ireland. This area of Ireland is also known as “the sunny southeast” and it’s true that it receives more sun than the rest of the country. So take advantage of that fact and spend some sunny days in the south. 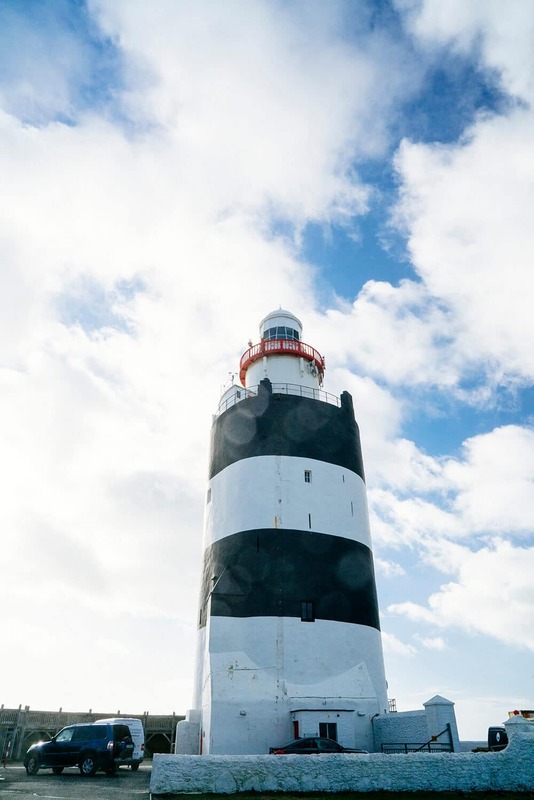 Don’t miss Hook Lighthouse, the oldest working lighthouse in the world! You can climb up to the light and learn about how different lighthouse keepers through the ages lived and worked. 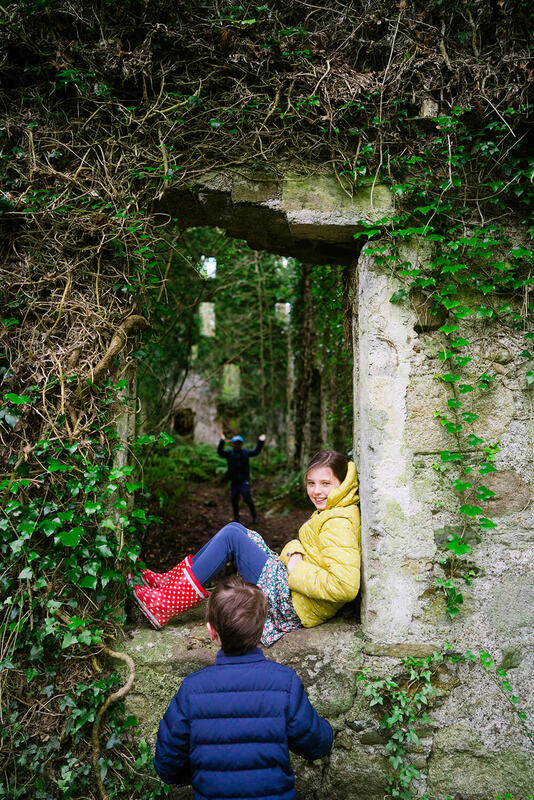 On Hook Peninsula, you can also visit Loftus Hall, Ireland’s most haunted house where they put on a truly spooky tour! You can run through the fairy gardens afterward to lighten the mood. Be sure to stop in at Tintern Abbey, where you can explore the ruins of a 13th-century abbey and also the ruins of an old overgrown mill. The surrounding area has amazing hiking paths that run along the stream. 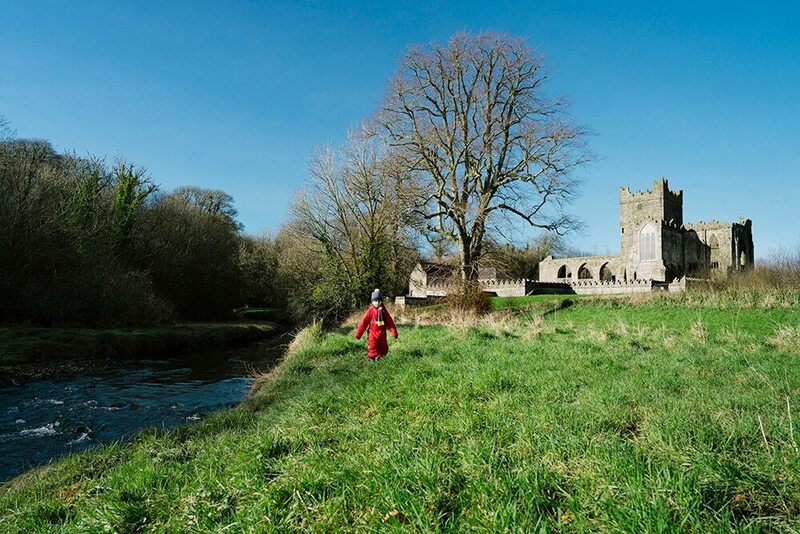 The tide goes in and out in front of Tintern Abbey and it’s a beautiful thing to watch. Right next door to the Abbey, you can visit Colclough Walled Garden, which is an ancient enclosed garden that has been restored and is lovely and blooming in the springtime. Waterford is one of the best cities to visit in Ireland if you’re interested in Viking history. 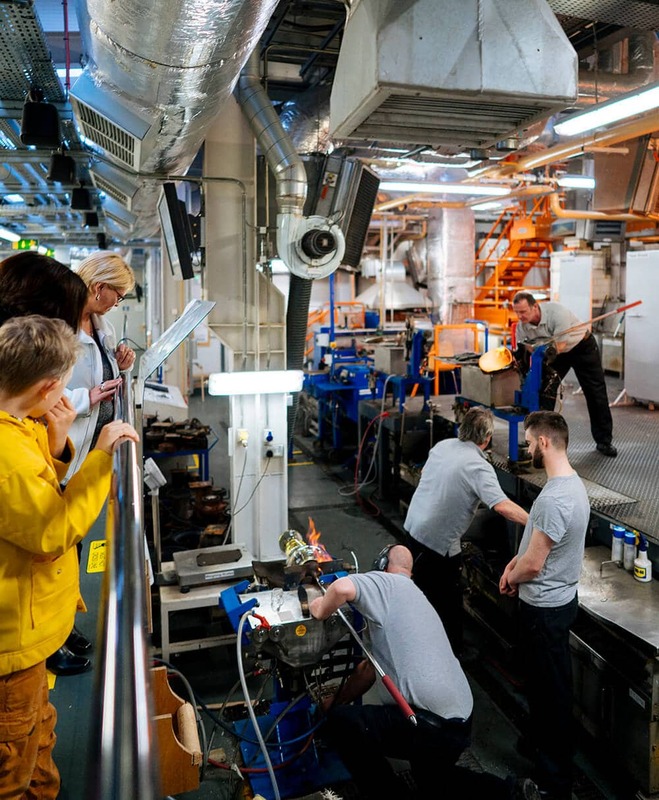 You can visit the Medival Museum, the Viking Triangle, and the Waterford Crystal Factory, which is absolutely fascinating. Just outside of Waterford you’ll find Curraghmore House & Gardens. 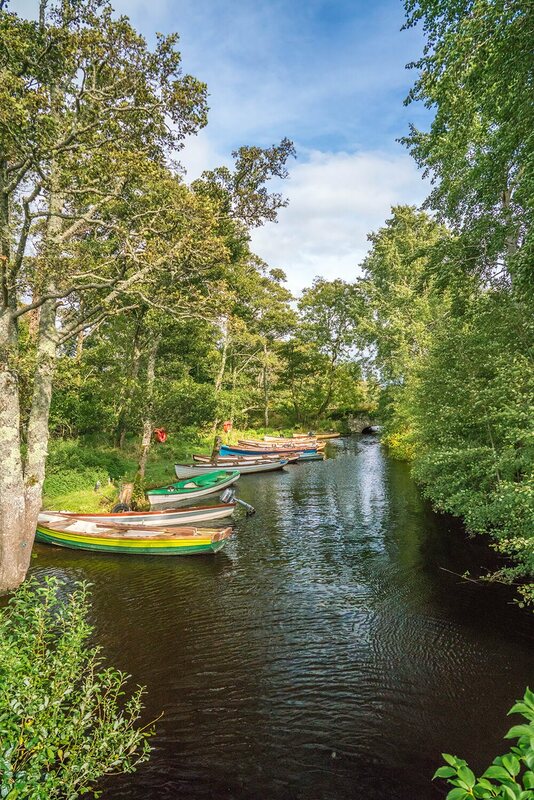 Sitting on over 2,500 acres of gorgeous gardens and forests, where you can find the oldest bridge in Ireland. 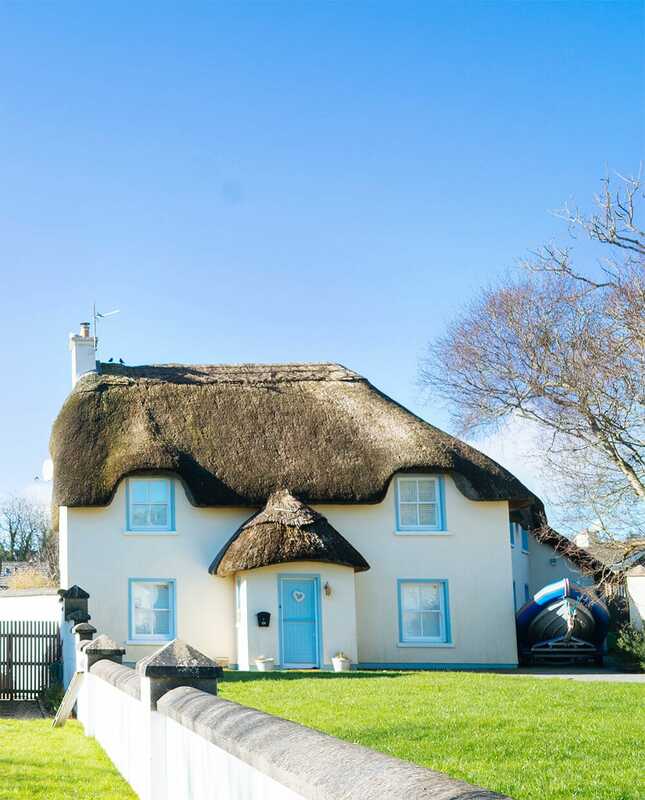 This adorable fishing village just outside Waterford is a great little Irish town where you’ll find the cutest thatch-roof houses and a great little beach. You can stay at this beautiful castle for only €57,800 for a seven-night stay for up to 16 guests! But if that’s not in your price range, check out these affordable castles you can actually stay in! While the East’s focus is on history, I would say that the Wild Atlantic Way in the west of Ireland focuses on natural beauty. With some of the most beautiful places in Ireland, the west should not be overlooked! These are my favorite places along the Wild Atlantic Way. 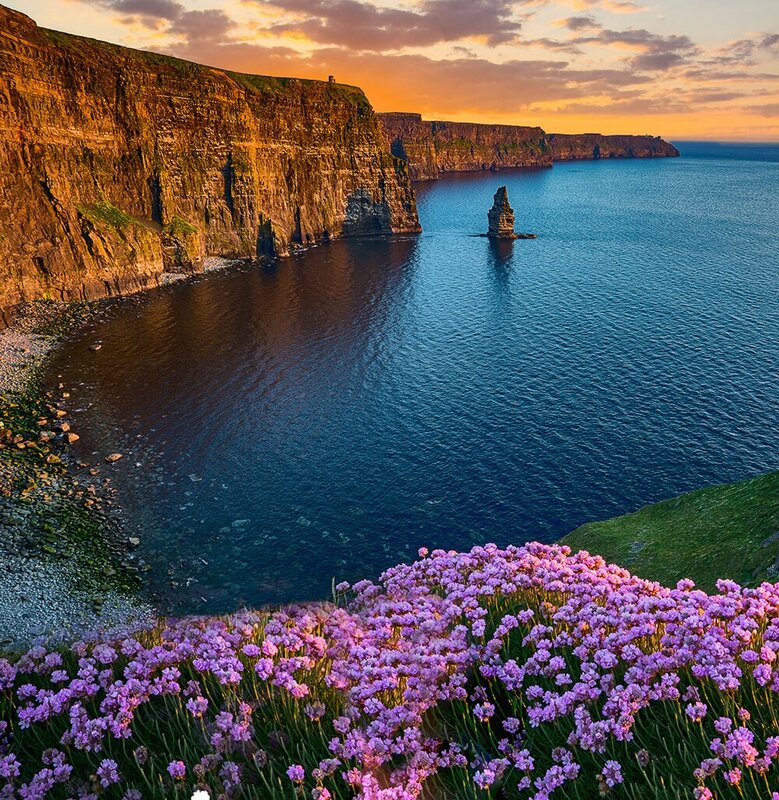 Probably the most iconic site in the country and definitely a must see in Ireland are the dramatic Cliffs of Moher. Plan at least half a day to visit these beauties. They have a great visitor center there that’s worth taking a look at. And if you’re a Harry Potter fan, you’ll especially love this as it was the filming location for the cave scene in Harry Potter and the Half-Blood Prince! 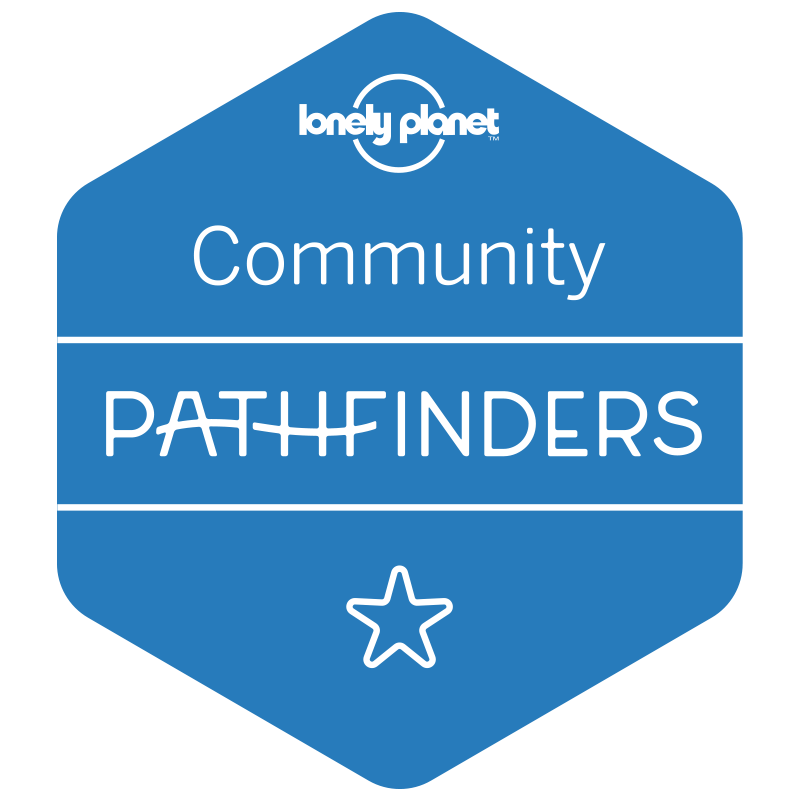 These 14 kilometers are also home to some super cute puffins that you’ll be able to see during the spring and summer months in Ireland. Killarney, Ireland is so incredible, that it really deserves its own post, and you can find that here. But this is one of the best places to go in Ireland to get a great feel for the country and also to learn about its history. At Killarney National Park you can enjoy beautiful hikes and scenery, tour the opulent Muckross House, the ancient ruins of Muckross Abbey, and also spend a day at the farm. At Muckross Traditional Farms you can try your hand at making your own butter and even at milking a cow! Learn how peat was grown and used as fuel, and a little bit about the construction of traditional Irish houses over 100 years ago. It’s a great learning experience for the whole family. The town of Killarney has some incredible restaurants and pubs, which are fun to see even if you don’t drink. Don’t miss Quinlan’s for amazing seafood, and Murphy’s for the best ice cream in Ireland! 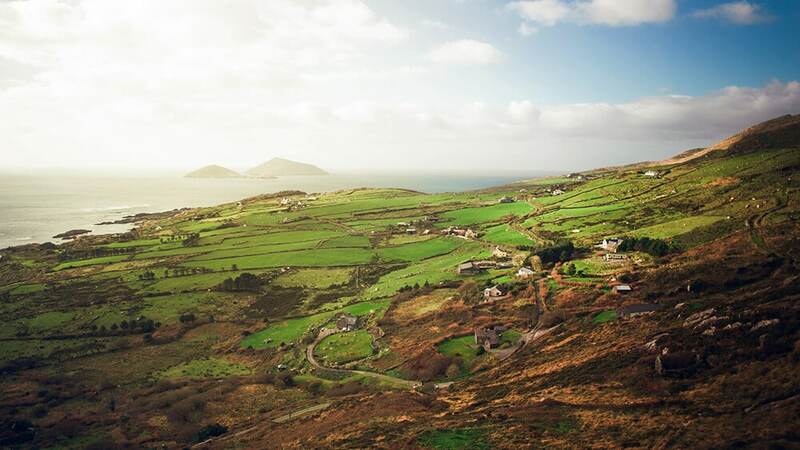 The ring of Kerry is famous for its incredible views, and for good reason. You’ll see some of Ireland’s most stunning scenery along this road, which crosses through Killarney National Park. 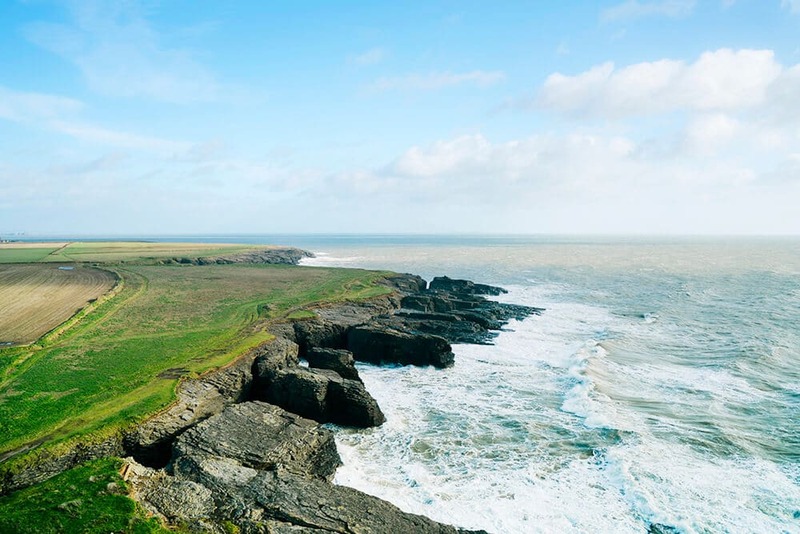 The rugged coastline drive offers many interesting stops at beautiful beaches, imposing mountain passes, and charming villages, making it easy to see why it’s the most popular Ireland road trip. A little less well-known than the ring of Kerry, although quickly gaining in popularity is the Dingle peninsula. It’s a shorter drive through lands that are just as stunning, but maybe a little less crowded. If you’ve ever watched the movie Leap Year, this is where it is set and mostly filmed. 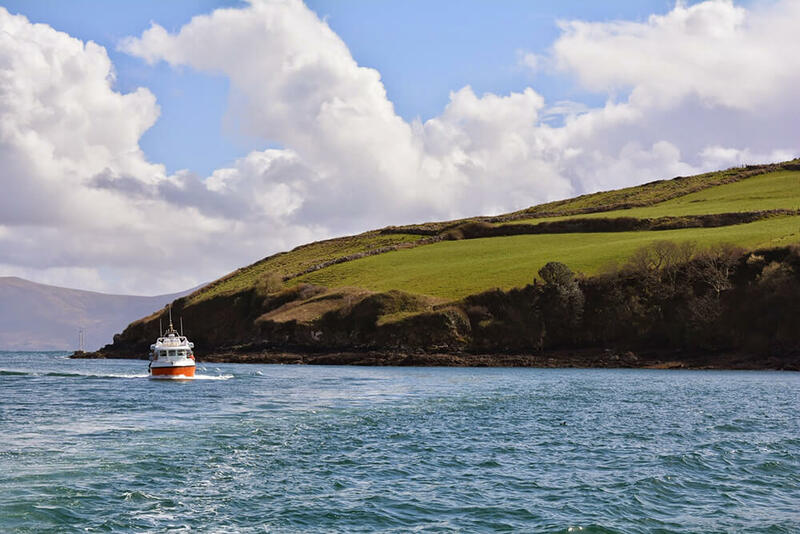 Dingle peninsula offers the same sandy beaches and craggy cliffs that Ireland is known for. Head to Dunmore Head, Ireland’s most western point for an incredible view of the Blasket Islands. 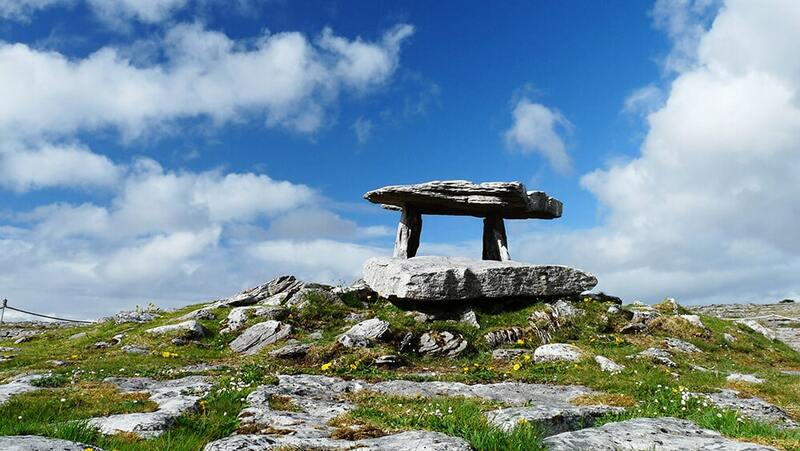 The Burren is an other-worldly landscape created from thousand-year-old limestone. Wandering around this place feels like walking on Mars! Watch for Foxgloves and rock roses that grow on the rocks. Cork is one of my favorite big cities to visit in Ireland. While many people are drawn to Dublin, I prefer Cork. 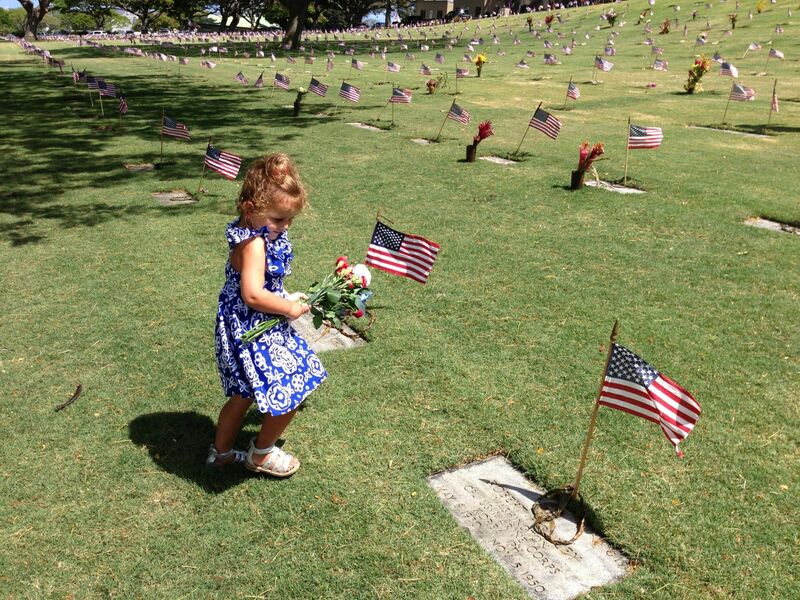 It has a less-touristy, and more authentic feel to it, but still with plenty to do and see. 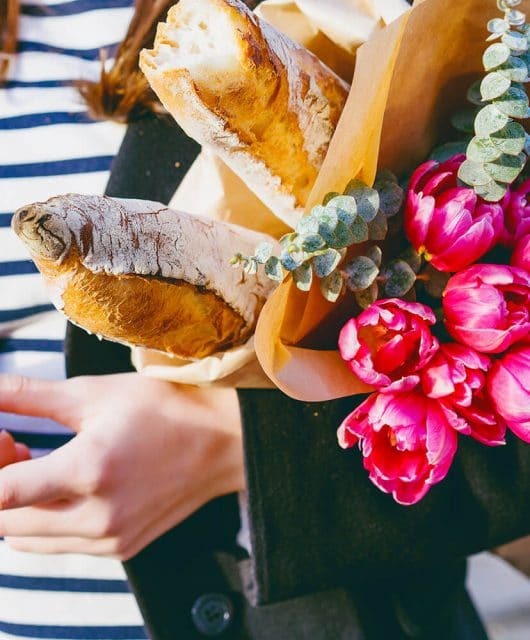 Don’t miss the English Market! This covered market has been in business since 1788! You can find fresh fish (might need to plug your nose), fresh bread, fruits and vegetables. Queen Elizabeth even stopped by this market on her very first visit to the Republic of Ireland in 2011! St. Fin Barre’s Cathedral is a site to behold in Cork. Built with Cork limestone and Cork marble, it’s a stunning building. Fitzgerald Park is a lovely and tranquil spot to find some nature in the bustling city. There is also a museum, cafe, and skate park. Be sure to ring the Shandon bells at St. Anne’s Church, which uses the original bells from the 1800’s. Climb the tower for spectacular 360 views of the city of Cork. 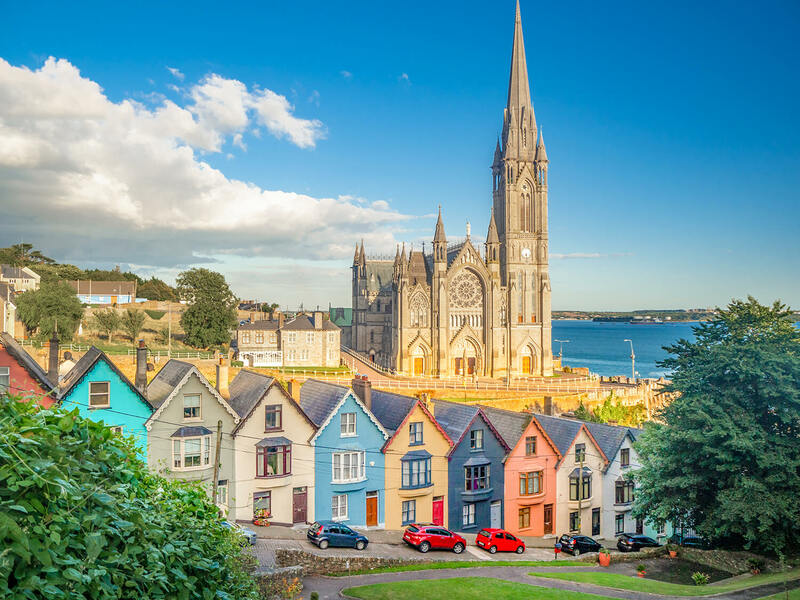 Just south of Cork lies the charming and colorful seaside town of Cobh where you’ll find a hodgepodge of bright houses! Just north of Cork lies one of the most famous castles in Ireland, Blarney Castle, where you can kiss the notorious Blarney Stone! 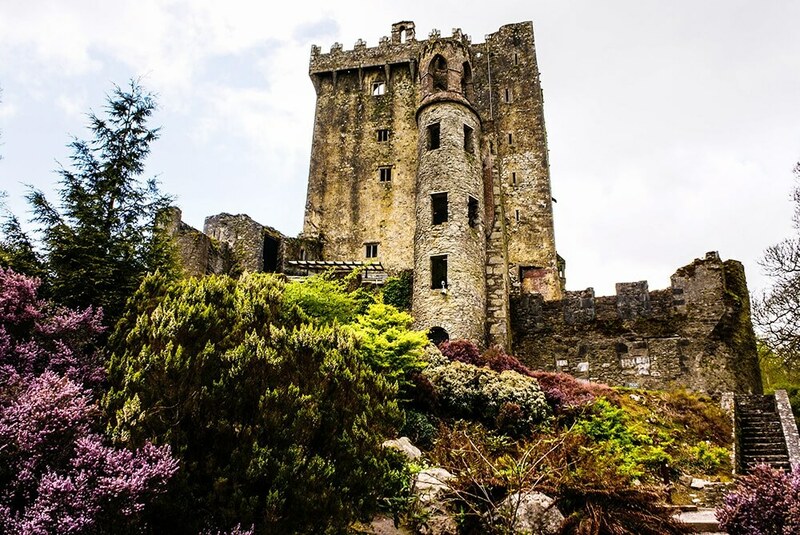 The Blarney Stone is said to give anyone who kisses it the “gift of the gab.” The choice to kiss the stone is up to you, but the castle and the grounds are also quite impressive and worth a visit. The Rock of Cashel, also known as St. Patrick’s Rock, is one of Ireland’s most visited sites. It’s essentially a collection of ancient buildings, including the 12th century round tower and 13th-century gothic cathedral, set upon an outcrop of limestone. The original cross of St. Patrick can also be found here. 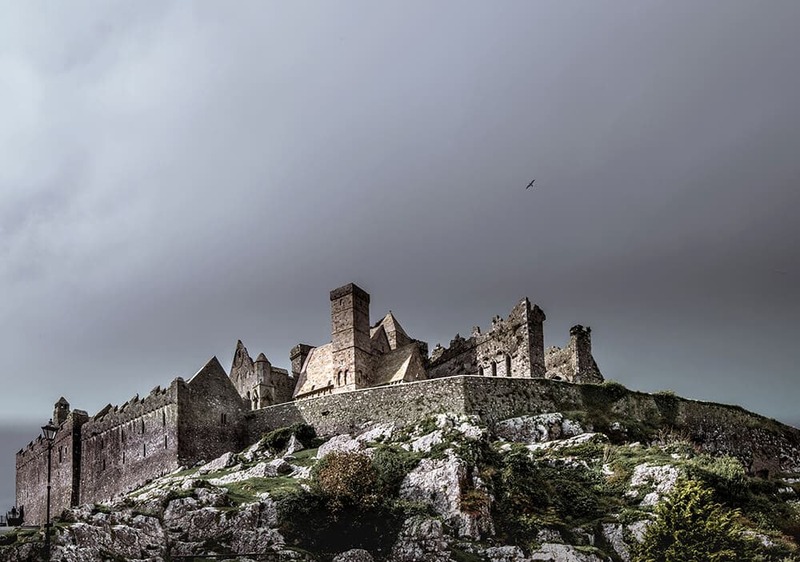 Learn more about the Rock of Cashel here. 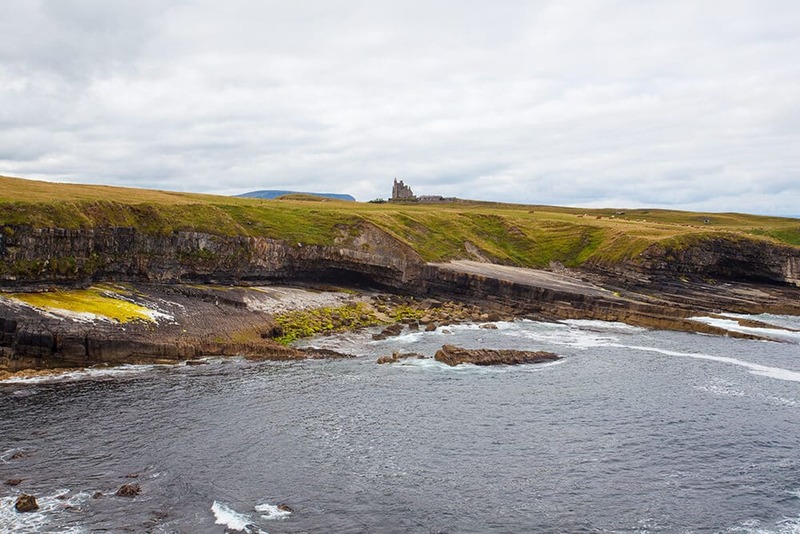 Perhaps one of the most underrated places in Ireland, Sligo is a beautiful county on the west coast offering stunning scenery, adorable traditional architecture, and a rich cultural history. You can hike the Ox Mountains, visit the Caves of Keash, go horseback riding through the forest, take a seaweed bath (yes you read that right), visit the animal sanctuary, go rock climbing, go golfing, and stay at a Castle Dargan! There are so many options in Sligo and I think it’s one of the best places to go in Ireland! Achill Island located off the coast of County Mayo is known for its tall cliffs and pristine beaches. 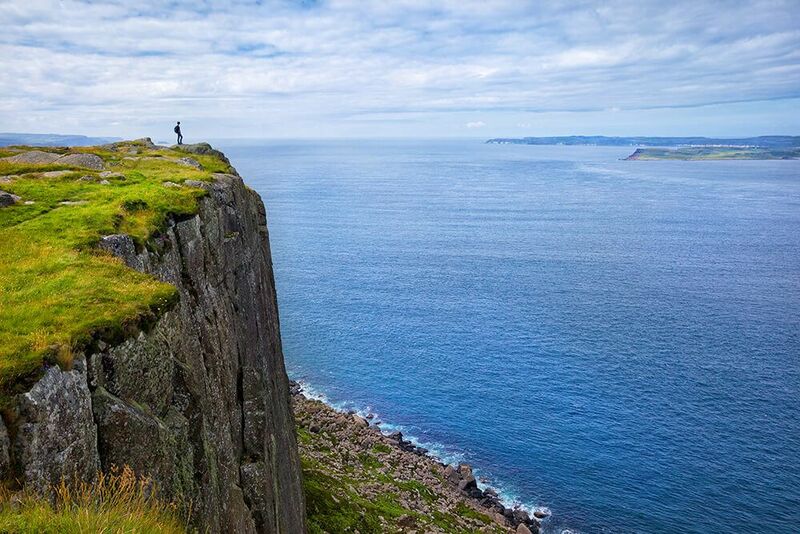 Achill Island boasts Europe’s third highest sea cliffs! They’re pretty impressive! Don’t miss Keem Bay and Keel Beach. I truly believe its one of the most beautiful places in Ireland and not to be missed if you’re touring the west coast! The town of Galway is one of the famous places in Ireland, it even has it’s own song, Galway Girl. It’s so quintessentially Irish that you can’t miss it! 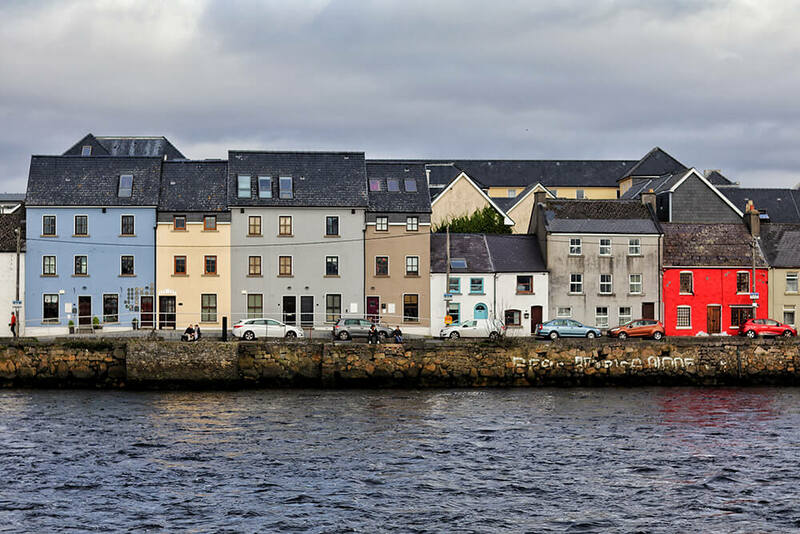 If you’re visiting this quaint Irish town, be sure to read this guide to Galway! Limerick is a wonderful area in western Ireland full of history and myth. It’s the third largest city after Dublin and Cork and you don’t want to miss it. 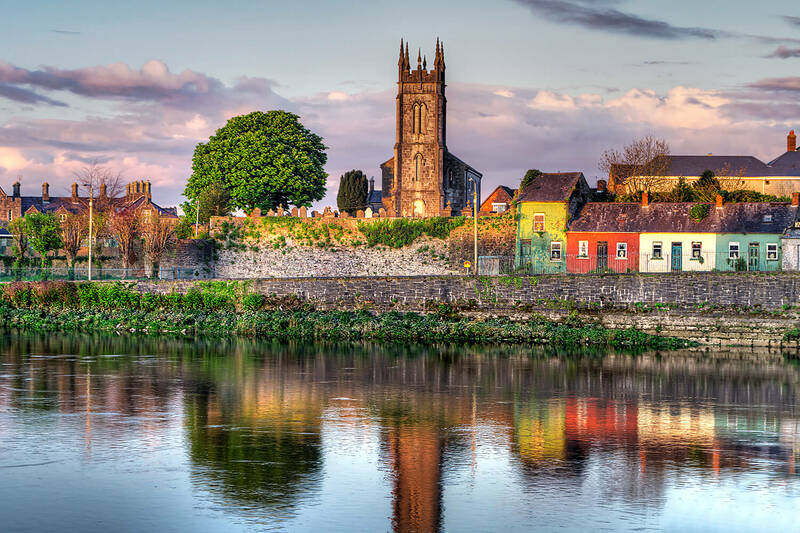 Be sure to visit King John’s Castle along the beautiful River Shannon, St. Mary’s Cathedral, the oldest monument in the city, and the Milk Market, one of Ireland’s best farmers’ market. These three rocky islands just off the coast from Galway are known for their stunning beauty and ancient sites. Don’t miss the prehistoric fort of Dún Aonghas on Inishmore, the largest Aaran island, or the Worm Hole, which despite its name, is actually a rectangular natural pool. It’s truly one of the most stunning places to see in Ireland if you’re on the west coast. This is the tallest peak in County Donegal and quite a site to see! Be sure to watch it during sunset to see its pinkish glow! It’s one of the most impressive sites to see in Ireland! Connemara, which means Land of the Sea is a wild region in the northern part of the Republic of Ireland, and one of the must see places in Ireland if you’re visiting in the north. Known for its pristine lakes and imposing mountains, Connemara is still remote and largely undiscovered, making it one of Ireland’s hidden gems. Due to its remoteness, there is a strong Irish tradition and you can often find Irish spoken here. 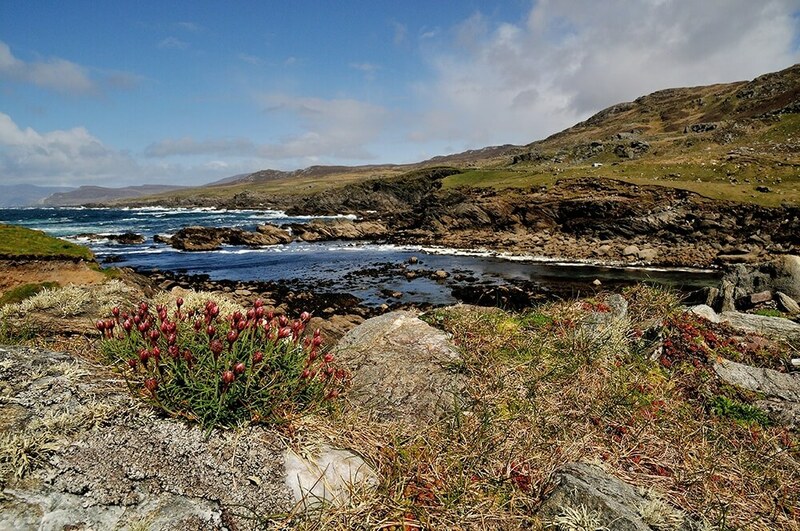 Hiking, fishing, horseback riding, and even scuba diving can be done in Connemara. 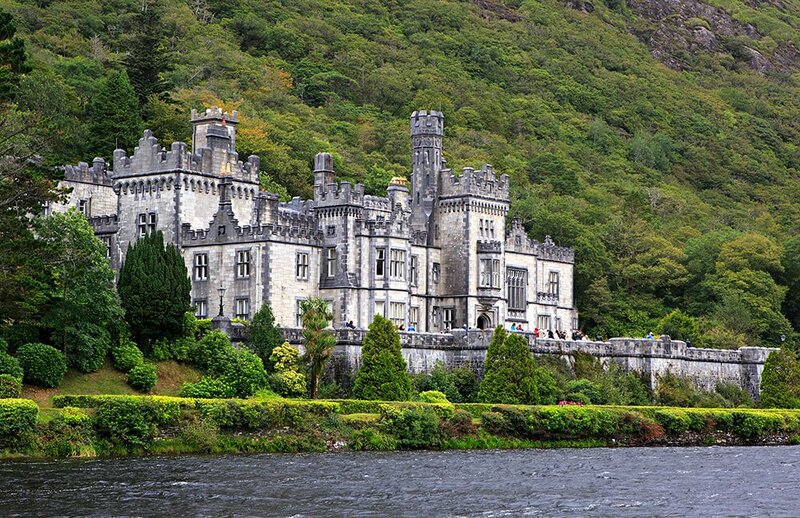 Don’t miss the iconic Kylemore Abbey on the lake! 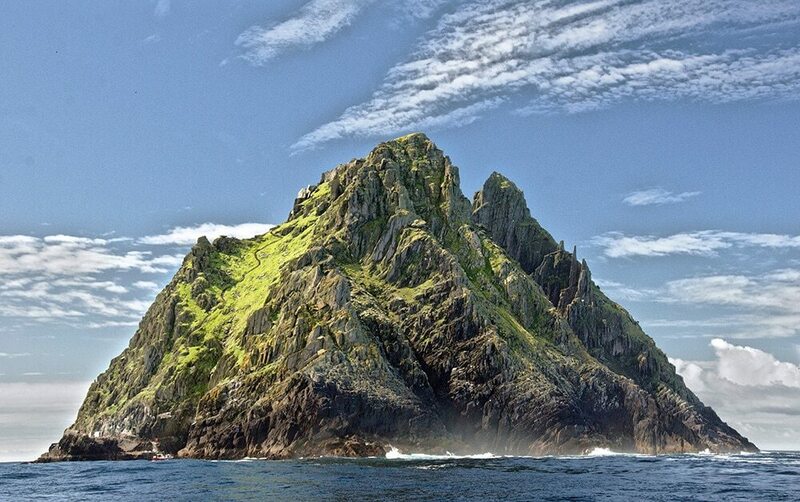 These two uninhabited islands along the Wild Atlantic Way known as Skellig Michael and Little Skellig were made famous by the movie Star Wars: The Force Awakens, and has become increasingly popular because of it. 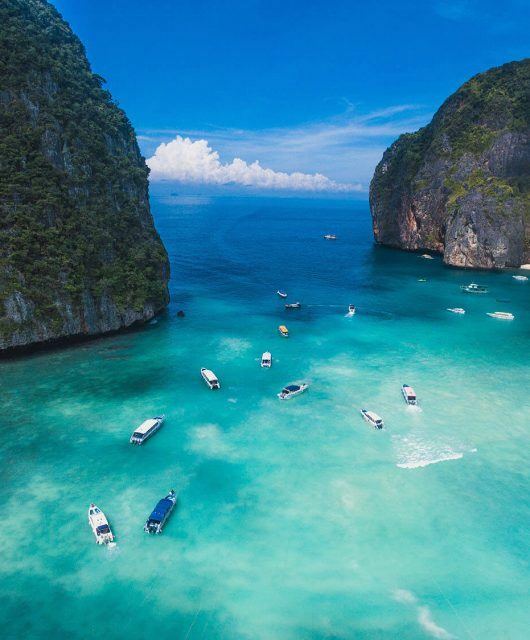 The islands can only be accessed by bout tour in fair weather. So if you’re visiting Ireland May-October, you’ll likely have the opportunity to see them. On Skellig Michael, the largest of the Skellig Islands, you can see an early Christian Monastery and beehive-shaped huts. It’s one of the most beautiful historical sites in Ireland and worth a visit if you can get there! 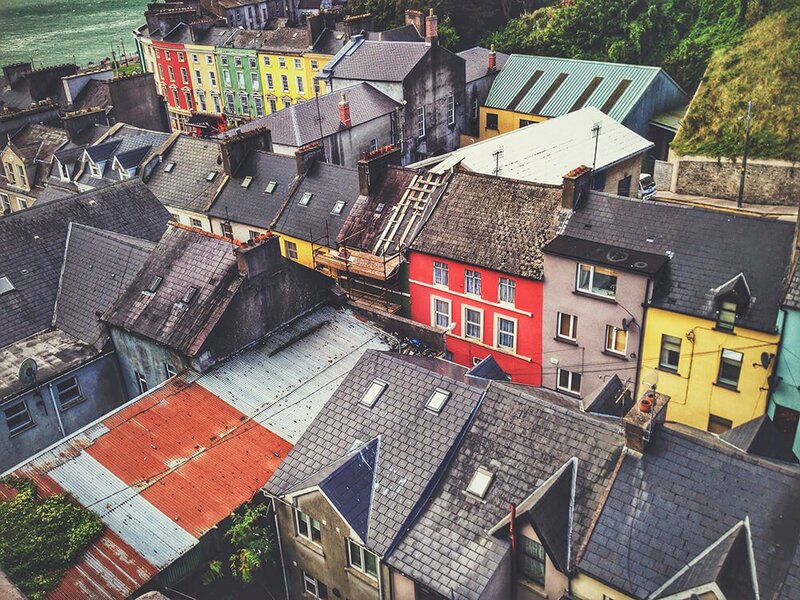 South of Cork lies the colorful town of Kinsale. You’ve probably seen pictures of this town without even knowing where it is. 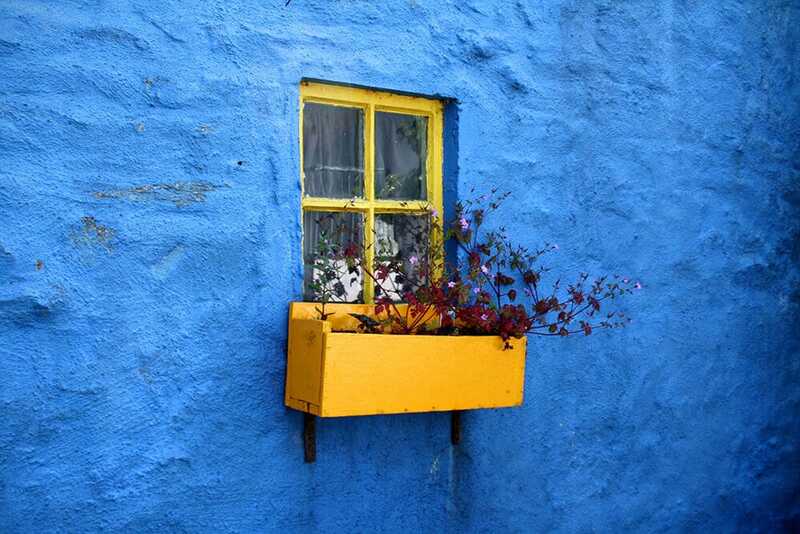 The bright idyllic houses and shops in Kinsale make it one of the best towns to visit in Ireland. Northern Ireland is a separate country from its southern neighbor the Republic of Ireland. Northern Ireland is part of the United Kingdom. You won’t need a passport to cross the border, however, the currency used there will be pounds Stirling rather than Euros. 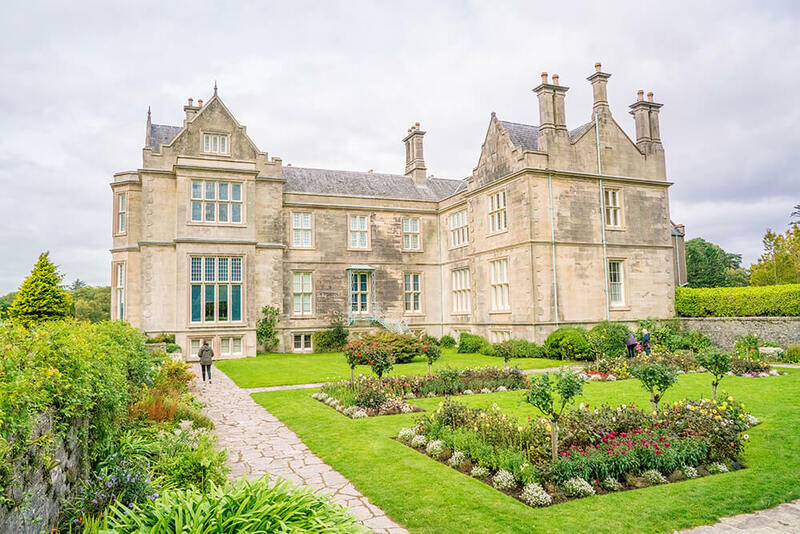 There are plenty of amazing things to do in Northern Ireland and you could easily spend your entire trip there, despite its small size. Here are what I think are the best things to do in Northern Ireland that you shouldn’t miss! 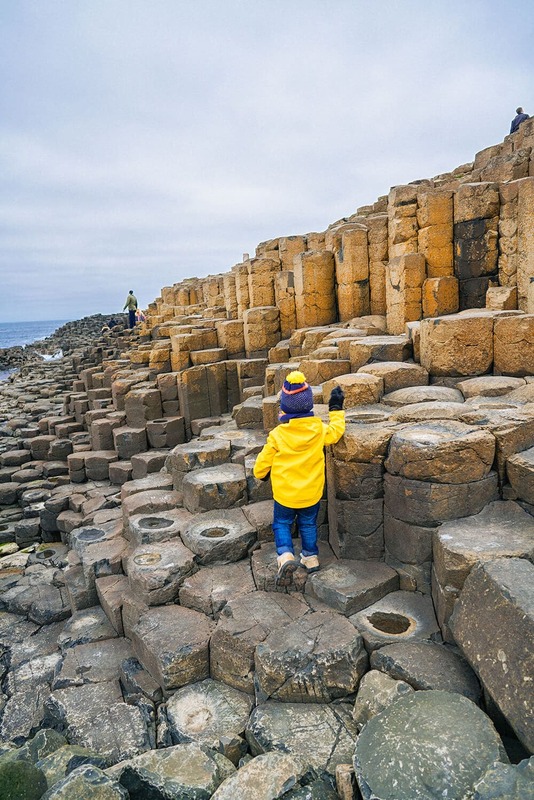 This beach with over 40,000 interlocking basalt rocks is a must see in Ireland! These iconic rocks are a result of an ancient volcanic eruption and are quite the site! You can walk around the rocks, but be careful, they can get slippery. There is also an awesome hike up to some ancient caves that are worth your time! The hotel right by Giants Causeway has a great restaurant serving delicious beef stew and soda bread. You’ll need to fuel back up after a long day of hiking and climbing on these beautiful rocks! 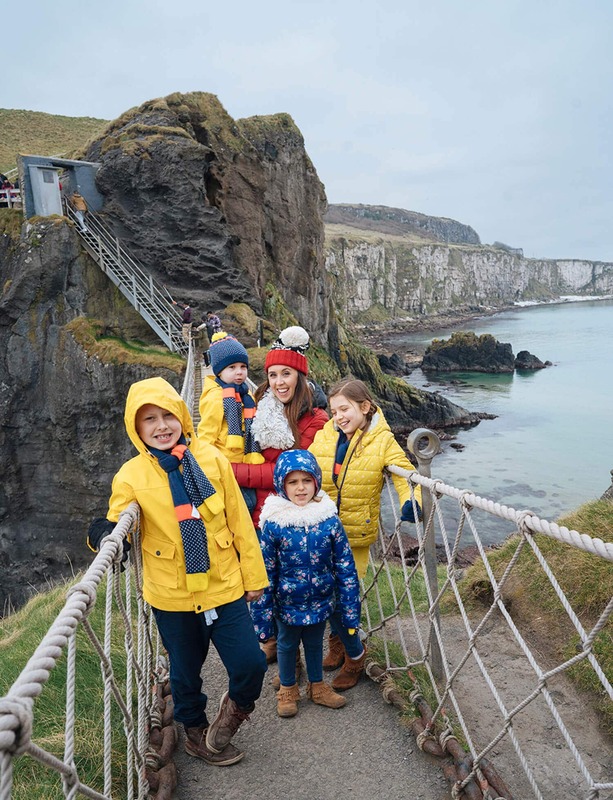 If you’re feeling brave, cross the Carrick-a-Rede Rope Bridge which links the mainland to the tiny island of Carrickarede, used by fishermen. 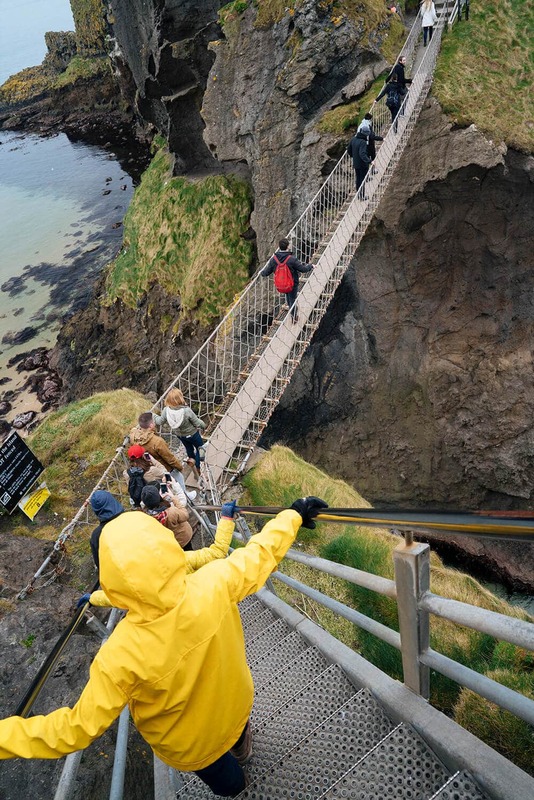 The rope bridge is almost 100 feet in the air and spans 65 feet across! There is about a half mile walk to get to the bridge and the crossing is quite controlled, despite what you may see on Instagram. Once you are on the island you’re free to wander around, although it does feel like you could easily roll off the steep cliffed piece of earth! Not only is the bridge fun and adrenaline inducing to cross, but the views in this area are incredible. I was amazed at how calm and blue the waters were. The bridge attendant said that she had seen dolphins there the day before! 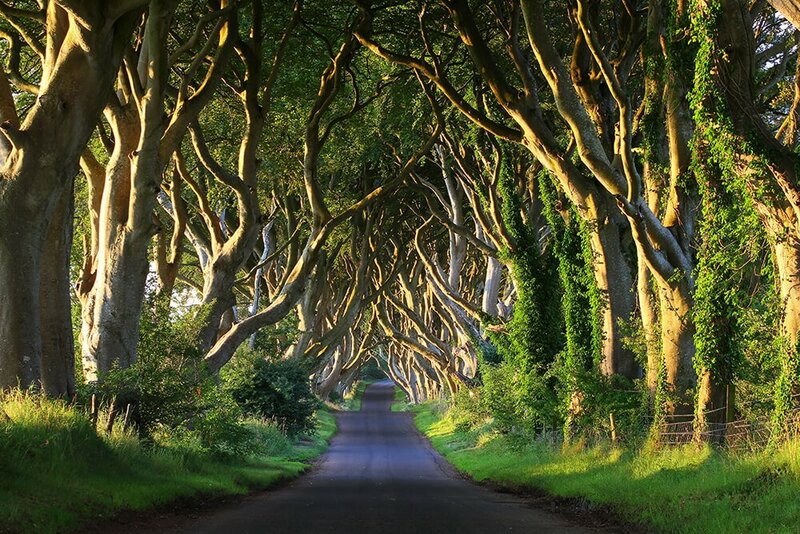 Another Irish site made famous through film (Game of Thrones), the Dark Hedges is just a road lined with Beech trees along Bregagh Road. I don’t recommend even making this stop if you’re visiting Ireland in winter, as there are no leaves on the trees, so it will be a little underwhelming. But in the Spring, summer, and fall, it’s a beautiful site. Aaaannnd….another famous film location from Game of Thrones! 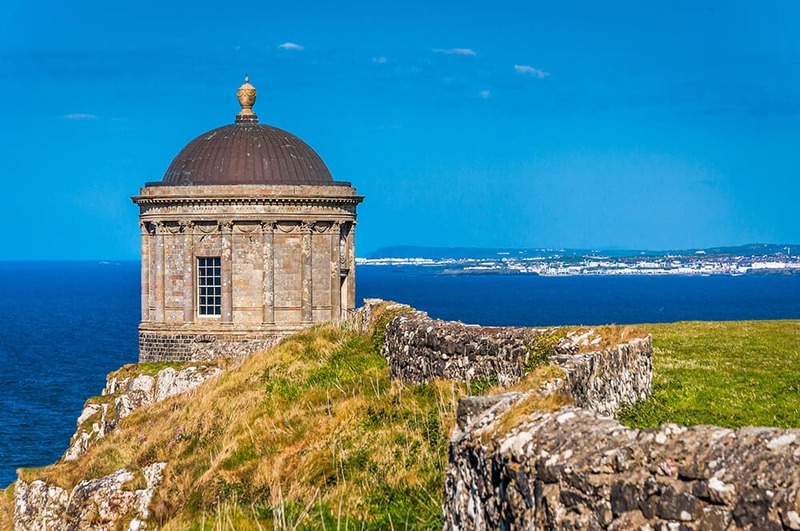 The Mussenden Temple, perched high on a 120-foot clifftop, was built in 1785 as part of the estate of Frederick Augustus Hervey, Bishop of Derry and Earl of Bristol. It was originally built as a summer library (I’d take just a regular old library) and was modeled after the Temple of Vesta in Tivoli, Italy. This was the first state forest park in Northern Ireland, established in 1955, its a beautiful place for camping, hiking, fishing, horseback riding, and sightseeing. There are 16 stone bridges crossing the Shimna River. Most bridges were built by former residents and are over 200 years old! Strangford is a cute little seaside town just outside of Belfast. Its population is only 475. It’s fun to imagine yourself living a quiet life by the sea in Ireland. If you’re into sailing, kayaking, diving, canoeing, bird watching, fishing, kite surfing, windsurfing, boating, paddling, and swimming, then come to Strangford! My daughter learned a traditional Irish folksong called Rathlin Bog in choir which inspired our visit to Rathlin Island. I’m not sure if the two or related, but it intrigued me. You can catch a ride on the ferry across the Sea of Moyle to get to the island which is only six miles long and home to 140 people! See the boathouse visitor center, and walk along the island’s many beaches. If you’re there during Puffin season (April-July) you’ll be able to catch a glimpse of these adorable birds. If you’re there that time of year be sure to also pay a visit to the seabird center where you can also tour a real working lighthouse! This may not be one of the top sights in Ireland, but it’s unique and worth seeing! 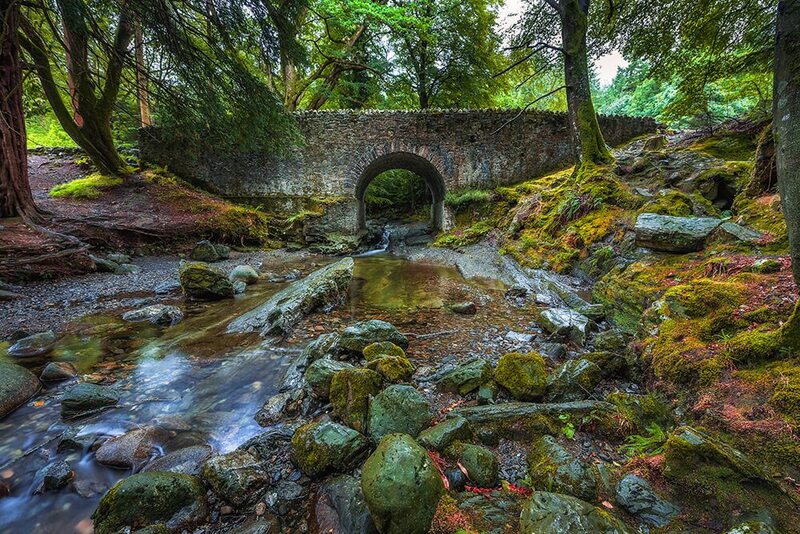 This huge forest in County Antrim is one of the best places to see in Ireland for raw natural beauty. The park is full of incredible waterfalls you won’t want to miss! Wherever you choose to go in Ireland you’ll have an incredible time. You really can’t go wrong with any of these options. 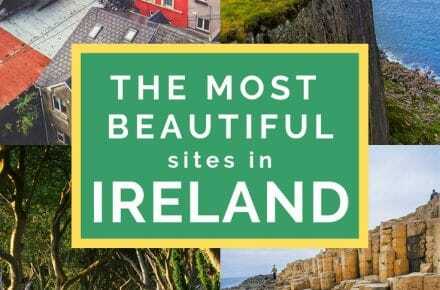 Have you been anywhere in Ireland that didn’t make the list? Comment below and I’ll add it here. If you’re planning a trip to Ireland and need help, I’d love to help. Send me an email or get in touch on Facebook or Instagram.